The European Council has officially launched the EUNAVFOR Med naval operation against human smugglers and traffickers in the Mediterranean, with a mission to identify, capture and dispose of vessels and enabling assets used or suspected of being used by migrant smugglers or traffickers. 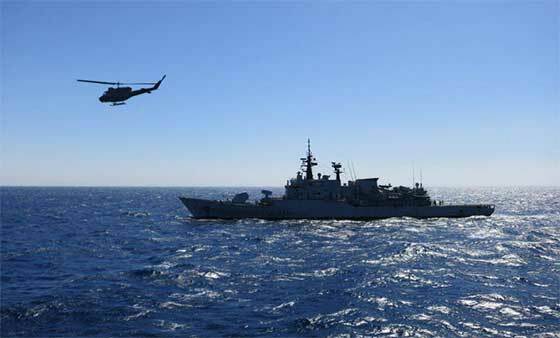 EUNAVFOR Med will be conducted in sequential phases, with the first phase focusing on surveillance and assessment of human smuggling and trafficking networks in the Southern Central Mediterranean. It is planned that the second stage of the operation provides for the search and, if necessary, seizure of suspicious vessels. A third phase would allow the disposal of vessels and related assets, preferably before use, and to apprehend traffickers and smugglers. The Council will assess when to move beyond this first step, taking into account a UN mandate and the consent of the coastal states concerned, and subsequent phases will be conducted accordingly. The Operation Headquarter of EUNAVFOR Med is in Rome. Rear Admiral Enrico Credendino has been appointed Operation Commander and will be assisted at sea by Force Commander Rear Admiral Andrea Gueglio. The common costs of the operation are estimated at EUR 11.82 million for a two months start up phase and the initial mandate of 12 months. "EU has never taken the issue of migration as seriously as we are doing now. With this operation, we are targeting the business model of those who benefit from the misery of migrants," EU High Representative for Foreign Affairs and Security Policy Federica Mogherini said. "But it's only a part of a broader strategy including the cooperation with our partners in Africa, particularly in the Sahel region, and the work with the International Organization for Migration and the UNHCR."